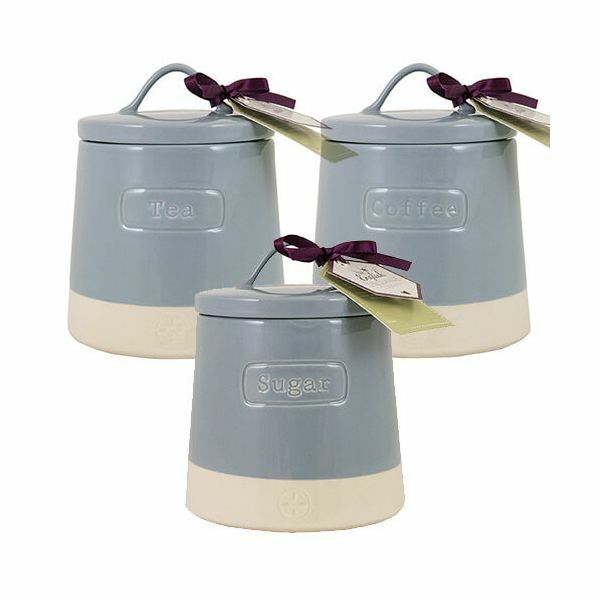 This 3 piece set consists of an Artisan Two Tone blue Tea, Coffee and Sugar canister is made from durable ceramic and hand crafted for this artisan collection. These canisters are perfect for storage, keeping their contents dry and fresh. Part of a collection this canister set makes a lovely gift. Suitable for dishwasher cleaning for convenience. very happy with my purchase. quick delivery and great packing.